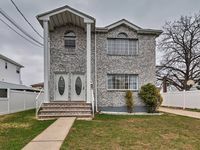 Properties in Malverne Station average 4.4 out of 5 stars. Luxury Apartment, Near Subway, Perfect for Work or Play! Property 2: Luxury Apartment, Near Subway, Perfect for Work or Play! Beautiful apartment in Queens New York City. Property 5: Beautiful apartment in Queens New York City. Home away from home ..
Property 17: Home away from home ..
Chez Isabelle:the place to stay! Property 18: Chez Isabelle:the place to stay! Individually styled apartment 45 minutes to Manhattan. Corp/Long-term welcome! Property 23: Individually styled apartment 45 minutes to Manhattan. Corp/Long-term welcome! Cozy Independent Floor. 9 mins from JFK / 20 mins from LGA. Property 24: Cozy Independent Floor. 9 mins from JFK / 20 mins from LGA. DESIGN + KITCHEN+COLOR+MODERN+LIGHT ... CREATE HERE !! Property 25: DESIGN + KITCHEN+COLOR+MODERN+LIGHT ... CREATE HERE !! Beautiful and modern 4 bed/3 bath plus roof deck. Property 32: Beautiful and modern 4 bed/3 bath plus roof deck. Comfy 2 bedroom apartment located in great area! Property 37: Comfy 2 bedroom apartment located in great area! Well designed apartment with yard! Property 38: Well designed apartment with yard! 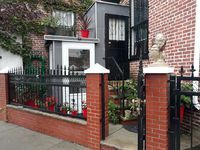 Historic Bedford Stuyvesant Charmer: Entire Apartment is Yours! Property 44: Historic Bedford Stuyvesant Charmer: Entire Apartment is Yours! Queens Apt. 30 Mins to Manhattan & 5 Mins to JFK! Property 45: Queens Apt. 30 Mins to Manhattan & 5 Mins to JFK! Cute Jamaica Apt. w/ Patio+Grill - 19 Mi. to NYC! Property 48: Cute Jamaica Apt. w/ Patio+Grill - 19 Mi. to NYC!